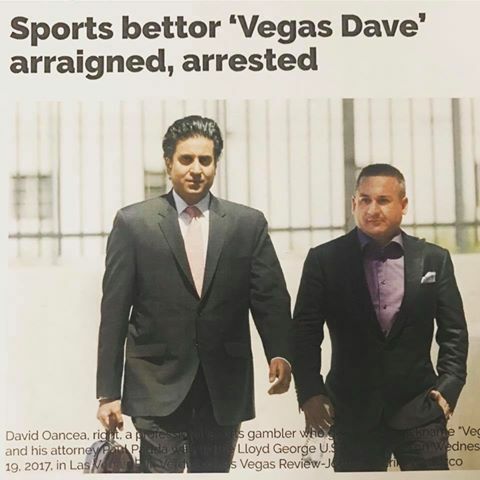 Dan Bilzerian might be the King of Instagram, but “Vegas” Dave Onseca is without a doubt social media’s most notorious sports bettor. With over 100,000 followers on both Facebook and Twitter, he’s way ahead of the competition. He’s small potatoes compared to Bilzerian, but he’s a superstar compared to the likes of Steve Stevens, who has a national TV Show, and less than 4,000 Facebook followers and less than 9000 Twitter followers, or Stu Feiner who only has a few hundred Facebook followers, and a little over 16,000 Twitter followers. That’s not very impressive considering that Al Pacino’s character in the Hollywood film “Two For The Money” was loosely based on the life of Brandon Lang and Stu “The Source” Feiner. Here at Capper Reviews, we only deal with professional handicappers with documented winning records from a reputable source. None of the above mentioned personalities qualify as what we would call a “professional”, and that includes Mr. Onseca. That being said, we can’t deny that “Vegas” Dave has an impressive history of winning big with his futures bets. He made a name for himself during the 2015 MLB season, placing a futures bet on the Royals at 30-1 to win the World Series in Week 1. His $100,000 ticket paid out almost $2.5 Million. His story is well documented in the local Las Vegas newspapers, and his social media pages provide ample evidence of a lavish lifestyle that has since followed. He spent the rest of 2015 celebrating, spending most of his nights clubbing at posh Las Vegas nightclubs. He’s usually surrounded by aspiring Instagram models, and for a little while he was even tight with Royals slugger Eric Hosmer. Rumor has it that Hosmer ran off with Dave’s flavor of the month (Renee Baker), and the two haven’t been seen together since. Dave won another big bet in November of 2015, cashing in a $20,000 ticket that payed out $240,000 on Holly Holm as an underdog versus Ronda Rousey. Bleacher Report published an article shortly after the fight claiming that the ticket Dave posted on social media was a fake, but later had to publish a retraction, that actually confirmed the authenticity of the ticket. Super Bowl 50 was another big pay day for Dave, with a $1,000,000 payout on the Denver Broncos. If you follow Dave on social media, you will only hear about his winners. He doesn’t exactly get full marks for transparency, as he normally waits until after the game is over before posting pictures of his winning tickets. There are those who suspect he actually loses more than he wins, but without any access to documented records, I guess we’ll never know for sure. Love him or hate him, he had Denver in Super Bowl 50, and just missed out on an even bigger payout with Atlanta in Super Bowl 51. There’s going to be a long line of people waiting to purchase his Super Bowl pick next year. You can find him here at: www.itsvegasdave.com. 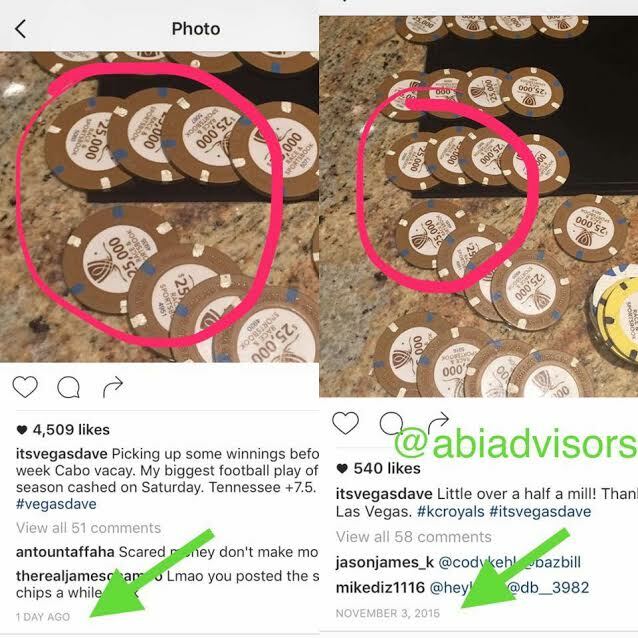 I been following ItsVegasDave for awhile as we have all heard the claims of 125-0 MLB season, but finally we get to see the real inside of the organization as a member of his who claims to have paid Dave Oancea over $40,000 dollars for apprentice ship and plays is currently posting his system plays on twitter and there is very heavy losses. Thank you for making a Vegas Dave handicapper review here and I can help show what a fraud he is. Today the system play was Orioles and Rays under 11 which is currently getting smoked. While I don’t have a problem with Dave this is shocking to me as he always claimed an undefeated MLB season. Wake up people! This guy is a coke dealer, not a professional handicapper! 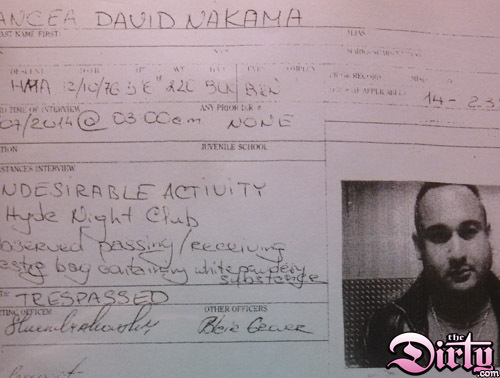 He’s banned from the Bellagio for dealing drugs. He’s also a brutal alcoholic that spends all of his time partying. How could anyone think he could be good at anything?